I was busy all last week getting ready for Leah’s first birthday party which was supposed to have been on Saturday. Unfortunately my son was up sick the night before, so we had to postpone. 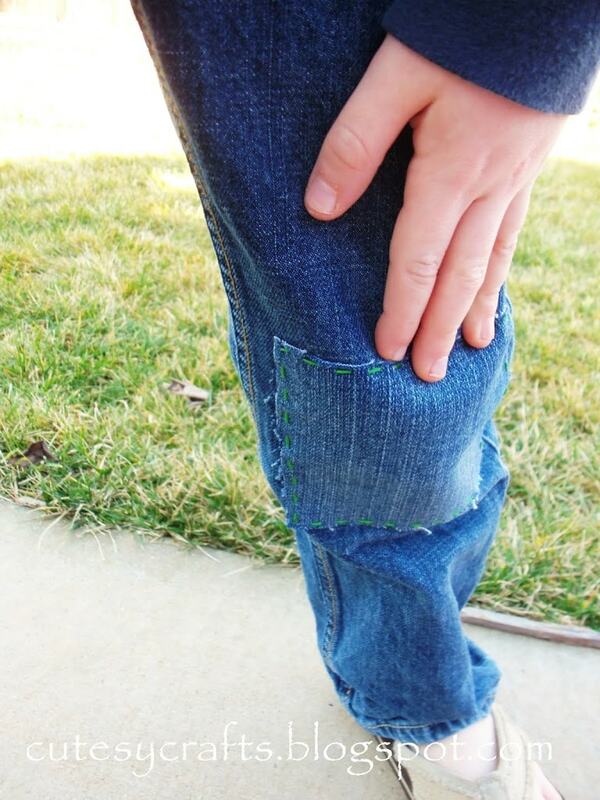 I had a little extra time on my hands to fix some of my kid’s clothes that had been ruined. Leah’s white shirt had a nice big stain on the bottom of it. 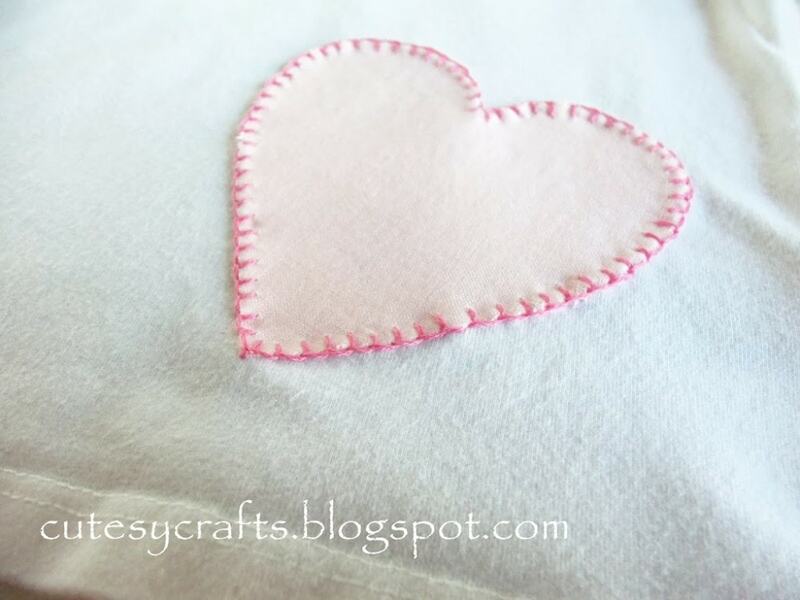 Her birthday party is going to be heart themed so I made a cute little heart applique to cover the stain and match the pink skirt that she will be wearing for her party. All I did was print out a heart shape that I drew on the computer, traced it onto some wonder under, ironed it onto some pink cotton, cut it out, peeled off the paper backing, and then ironed it onto the shirt. 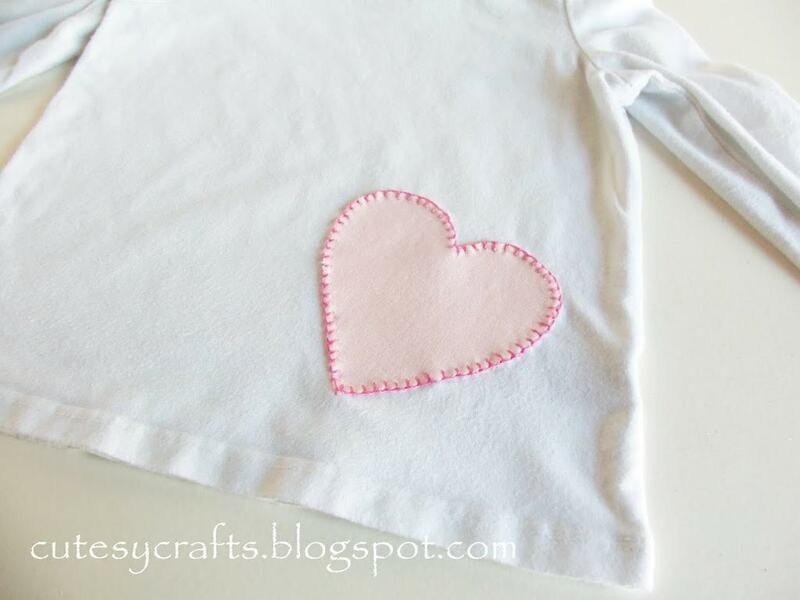 For more detailed instructions, I learned to applique a while back using this tutorial here. 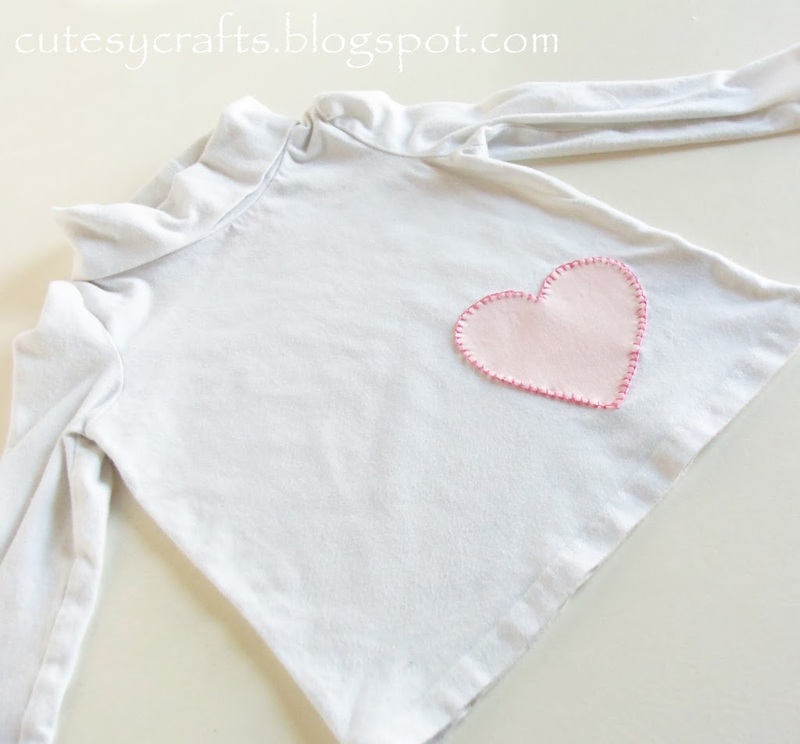 Super easy, and it made her shirt look so cutesy! I added a little blanket stitch with three strands of embroidery floss to help hold on the applique. You can also just machine stitch it or leave it. Now on to Evan’s pants. He seriously has a hole in every pair of jeans that he owns… all on the same leg. Ugh! 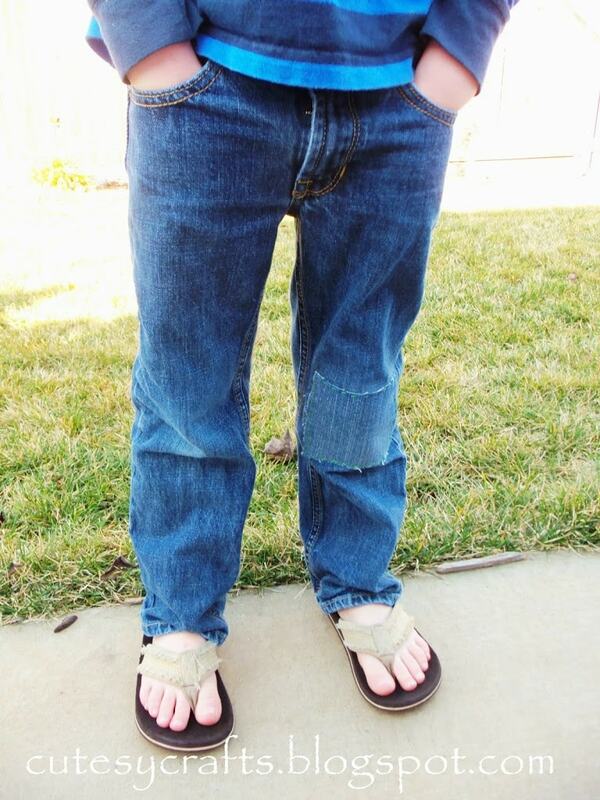 Luckily I have been saving old jeans for projects such as this. I just cut a square and ironed some wonder under onto the back of it. You could even get crazy and cut it into some fun shapes. 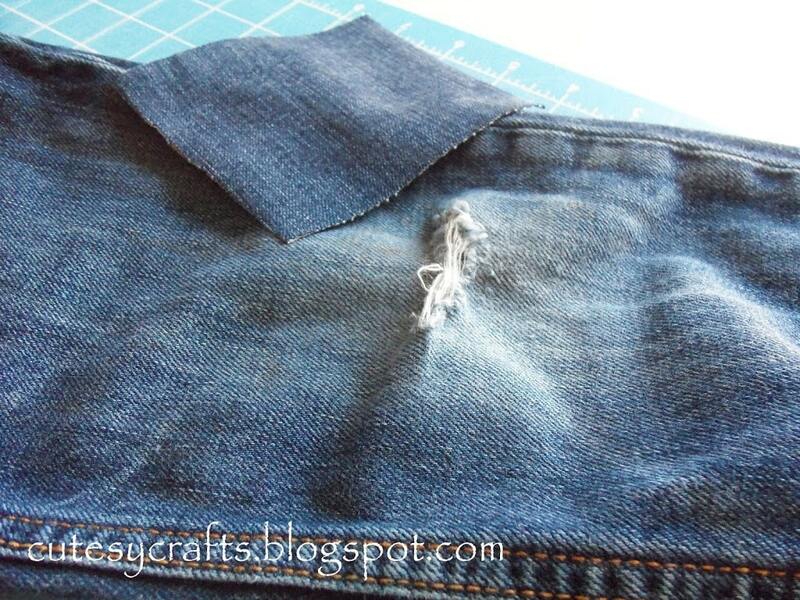 Peel off the paper backing and iron it onto the pants to cover the hole. I hand stitched a running stitch using all six strands of embroidery floss… Evan chose green. 🙂 That should help hold down the edges so they don’t peel up. Crossing my fingers that we will get to have Leah’s party this weekend. I’ve got some really cute stuff to show you!